WHAT’S NEW AT DEVON COUNTY SHOW 2019? This year, the Devon Cattle Breeders Society returns to its native county to host its national show at Devon County Show 2019. 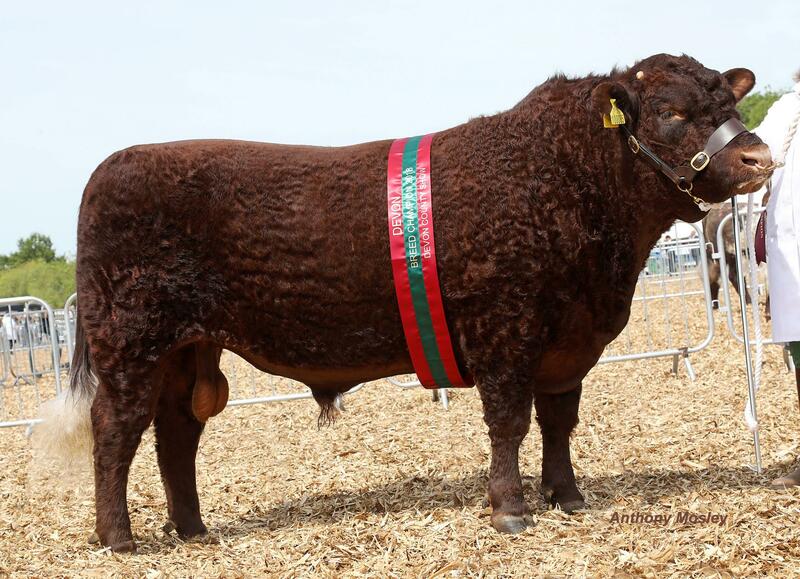 The Devon Ruby, a beautiful breed with its signature deep, rich, burnished red coat is internationally recognised for its ability to produce the very finest marbled beef on a low maintenance diet. The Show is expecting up to 100 Devon Reds on site competing in the show, along with a new young stars competition dedicated to young handlers. In a bid to take the much-visited food section onto an exciting, new and international platform, this year’s show is to host a diverse selection of exotic cuisine from around the world. Look out for Moroccan style flatbreads stuffed with Shawarma Chicken and lamb-filled Souvlakis topped with deliciously thick and rich Greek yoghurt. In line with the growing demand for dietary requirements, the organisers of the food section are also ensuring that vegans, vegetarians and those with food intolerances will be widely catered for. This year, the show has opened up the section to craft producers from right across the country. Look out for stunning one-off pieces of jewellery, porcelain, ceramics, baskets and rugs – each one unique in design and guaranteed to be hand-made in the UK. 57 stands have confirmed their attendance to date. As well as the competitors, and exhibitors in the horticulture pavilion who like to enter the competition under RHS regulations. A new street style section in the pavilion which will operate under the Devon County Show rules, means that plenty more smaller, local exhibitors will be able to showcase their produce. For the first time ever, the Devon County Show is to host a new premier open dog show with 355 classes split into seven groups and welcoming several new breeds. Each group winner will qualify for Crufts 2020. So, if you want to see some champions in the making, including Large Munsterlanders, Hungarian Pulis, Bavarian Mountainhounds and Estrela Mountain Dogs, the Devon County Show is the place to be! With the Devon County Show’s new President, Sir Harry Studholme, also the Chair of the Forestry Commission, it’s no surprise that much will be made of the Forestry Commission’s centenary year at Devon County Show. There will be plenty of celebrations going on, including the planting of 100 trees and shrubs to mark the occasion in the Country Life and Woodland area. Further details about the celebrations to be announced imminently.